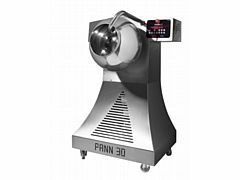 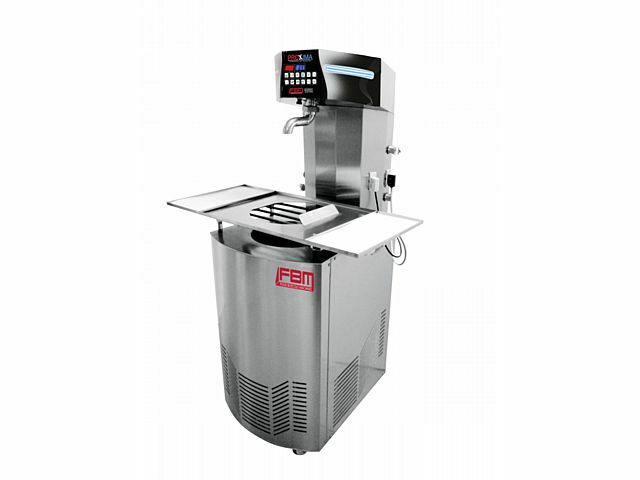 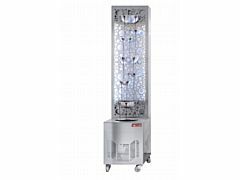 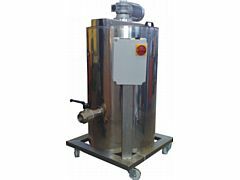 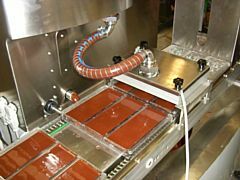 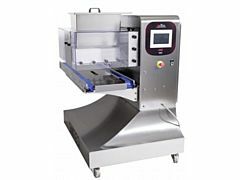 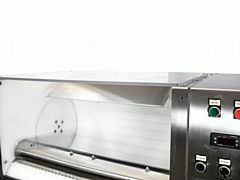 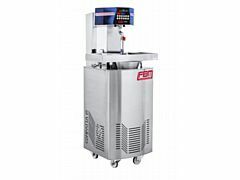 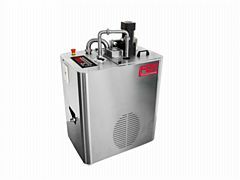 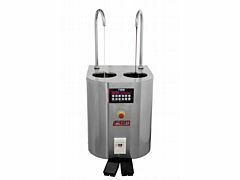 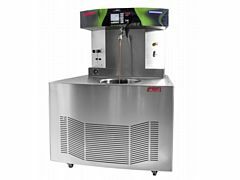 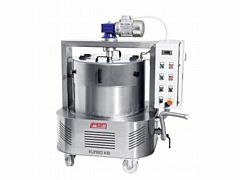 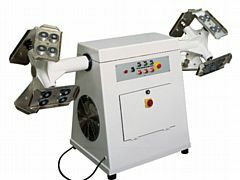 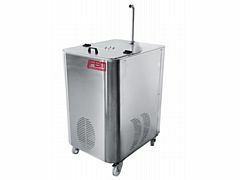 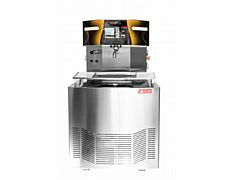 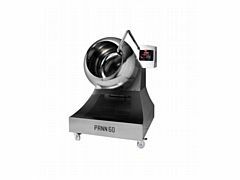 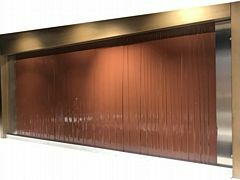 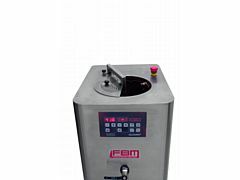 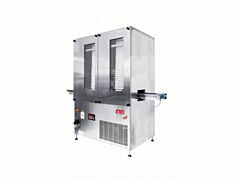 The continuous tempering technology provides two separate systems: the working bowl is heated by thermoelectric induction and the tempering pipe is cooled directly by the refrigerant gas, delivering fast response times, precise control, and reduced energy consumption. 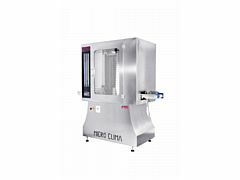 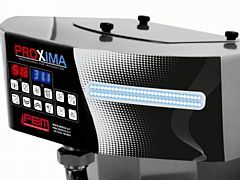 The screw pump in the Proxima's tempering pipe reverses automatically to empty it, reducing the amount of time required to restart the tempering cycle. 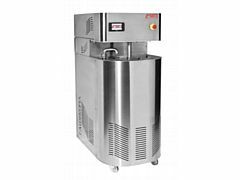 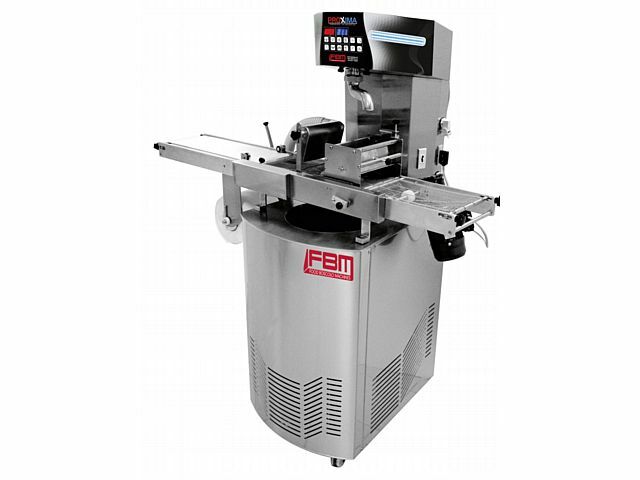 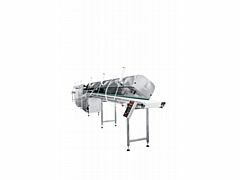 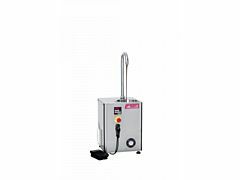 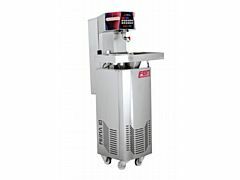 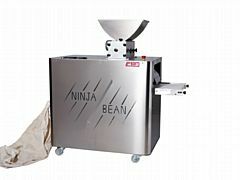 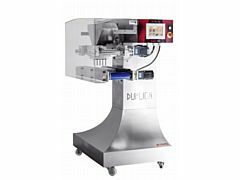 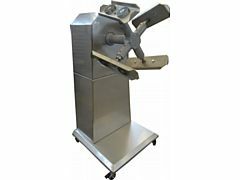 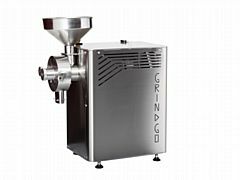 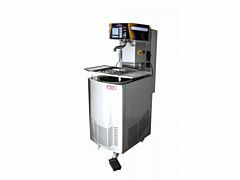 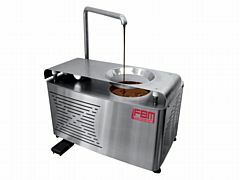 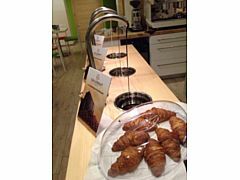 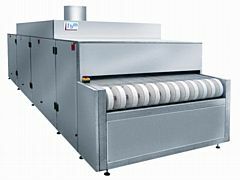 The machine can be equipped (on demand) with enrobing attachment,180 mm wide, that includes air blower, independent de-tailer motor, start/stop paper system with lever. Proxima can be equipped (on demand) with speed regulator for screw pump and/or for enrober.